How much does the European Union actually care about keeping the UK inside the Union? I ask this because, after House of Commons Speaker John Bercow's historic ruling on Monday, the UK's destiny now lies in the hands of 27 "foreign" governments, the UK's partners in the EU. Assuming - and as things stand, it is reasonable to do so - that Theresa May fails again to win support in the Commons for her "deal", then things move, once again, into Brussels' court. 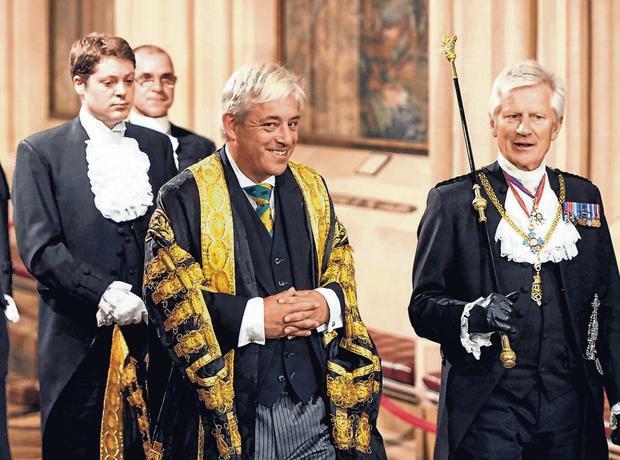 Mr Bercow has, in effect, hit the reset button. The European Council then has a choice. It can offer the UK a short extension to the Article 50 process to sort out the details of a Brexit deal that hasn't actually been agreed - with little chance Mrs May will be able to put it to the Commons anyway. Or it can offer Mrs May a far longer delay - 21 months, say - in which, basically, to start again. Of course, some Brexiteers will find that unpalatable; yet others will reflect that they will live to fight for Brexit another day. They know that the existing blindfold Brexit deal keeps the United Kingdom in the customs union anyway, and fails to solve the "trap" of the Irish backstop, with the terms of the future deal completely unknown. Whatever your point of view, it would be much easier for all concerned to know those. Some Brexiteers might prefer to have them negotiated by a new British prime minister. Dominic Raab and Boris Johnson may have an interest in this approach - the Ctrl-Alt-Delete option, where we just reboot the process but get things the right way around this time. Today we face the absurdity of a hard Brexit in about a week's time. The EU and the Commons agree on one thing - they do not wish this to happen. So, one way or another, it will not. If hard Brexiteers are rational, they will opt for a delay - however long it takes to get it right (on their terms, that is). The one novel option that is now emerging from the fog of Brexit war is the grand compromise of a second referendum coupled with conditional approval of the May deal. This is the so-called Kyle-Wilson amendment which has won the, albeit confused, support of Jeremy Corbyn (who wants to vote Leave in the subsequent referendum, but on Labour terms which do not, of course, exist). It is "substantially different" from previous meaningful votes because it has a national referendum attached to it - a big move by anyone's standards. Anyway, the politicians can leave some of the trickier questions about campaigning and the ballot paper to the Electoral Commission, and just get on with choosing between the only deal that actually exists in real, non-mythical form, and staying in. If they want they can put "hard Brexit" on the ballot paper as well, as a theoretical possibility - maybe with preferential voting. This would end the Farageists' charge of "Brexit betrayal". As a democrat, I'd be content to see it on the forms, and to live with it if the country actually wanted it. Besides, Mrs May might even win. The truth is that this option could be placed before the Commons this week under Mr Bercow's ruling and win a majority - and a huge one if Mrs May, reluctantly, admitted she needs to take her case to the country. She could then go to the European Council and ask for a delay long enough to hold a democratic vote - something they have indicated they would grant. Ideally, she would also ask for them to turn her woolly "political declaration" into a proper UK-EU Trade and Security Treaty. This way the UK would be voting with all eyes open on a complete deal and not a leap in the dark - blindfold Brexit. Thus, the UK would come round, as it always does, to the need to break the deadlock in the most efficient and democratic way possible - a Final Say referendum, sooner or later. The UK has a right to vote on its future, and has had it as a constitutional fact once the 2016 referendum transferred sovereignty to the British people. The House of Commons effectively then put itself out of business as a "sovereign" body, and has once again shown itself unable to summon up the energy and ingenuity to regain its historic role.